Practicing Giftwork | UC Berkeley Student Affairs Community Blog! 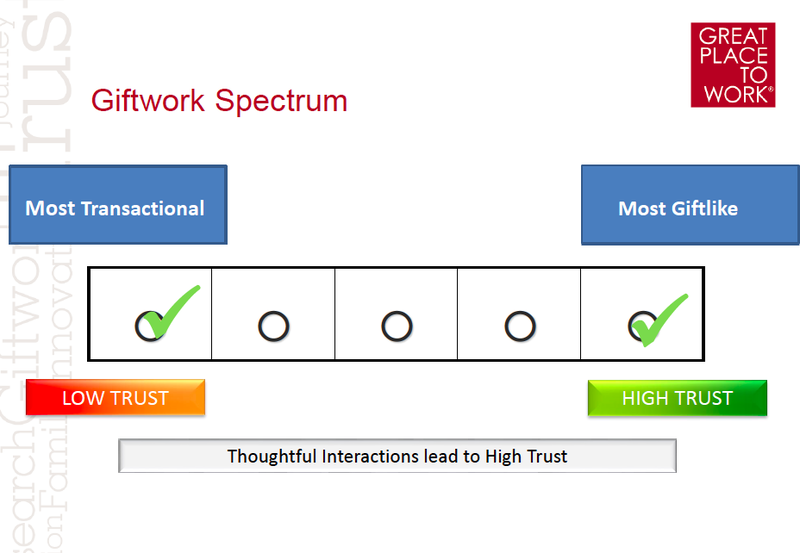 Giftwork increases the level of trust in any organization. As you may already know, trust is the foundation for any great workplace to thrive. At your next 1:1 with your staff members, state the positive impact that they have on the team. Write a genuine, specific thank you note to a team member that you appreciate. Perhaps give them a small treat or token of appreciation that you know they would like. Read one of the giftwork articles below and share with other staff in your unit. BONUS! Have a discussion at your next staff meeting of how you can collectively (as a team) practice more giftwork with one another.